Fresh Meat Productions is proud to once again co-sponsor this incredible event! Are you ready for the 11th annual Trans March? You better be because we got a whole lot of big fun, huge celebration and awesome community building waiting just for you! 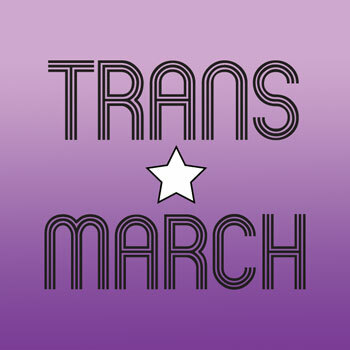 The mission of the San Francisco Trans March is to inspire all trans and gender non-conforming people to realize a world where we are safe, loved, and empowered. We strive to create a space for our diverse communities to unite and achieve the social justice and equality that each of us deserves.